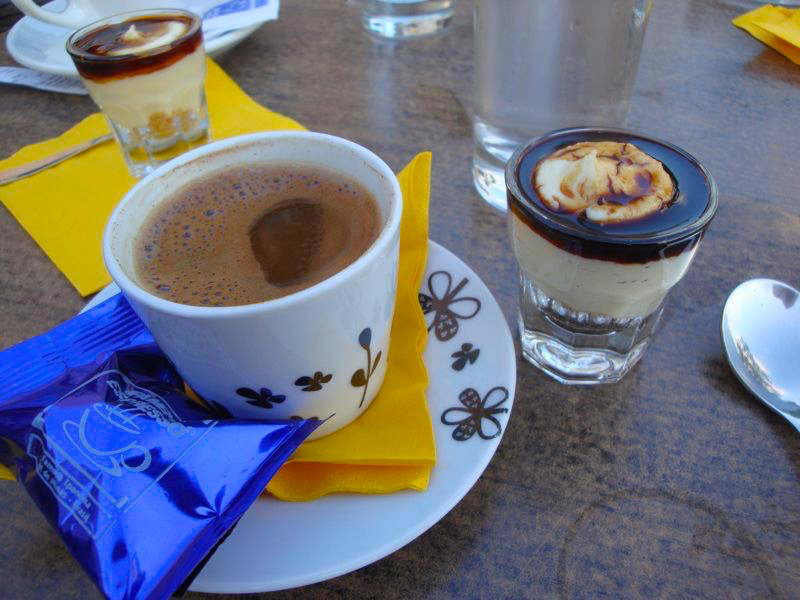 This cafe-bar in Mytilini serves complementary hot fudge sundae with coffee. I forgot the name. Sorry.